The best place to watch a game (if you don’t have tickets), is in a sports bar with your fellow fans. Picture the scene: large screen HDTVs, chicken wings and/or some of your favorite bar snacks, ice cold beer, strangers high-fiving strangers when your team scores, euphoria if your team wins. In our continuous efforts to “connect the fun to the fun people, here is our MurphGuide Directory of NYC Sports Bars and places to watch sports in NYC. Financial District location of the upscale sports lounge chain. Irish pub & sports bar with 10 flat screen TV’s throughout the bar, featuring Direct TV. The Beekman shows all NBA games, all Knicks, Rangers, Devils and Islanders games. sports bar on historic Stone Street. 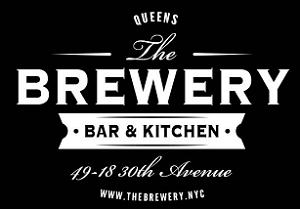 Upscale NYC sports bar, gastropub and craft brew pub. Irish pub and sports bar with 10 HDTVs, showing a all sports packages- MLB, NFL, NBA, NHL, NCAA Football and Basketball and all Premier league games. Slainte is an Irish pub with 12 HDTVs, and a large HD projector. Full coverage live by satellite of all major soccer events including Champions’ League, UEFA Cup, The Premiership and FA Cup. Beer bar showing all major pro and college sports packages on 8 HD screens. Manhattan – 14th – 59th St.
Sports bar & grill in Kips Bay with giant screens, specializing in burgers, shakes and craft beer. Features 15 TVs. Home to Philadelphia sports fans. Slattery’s is an Irish pub & sports bar with flat screen TVs throughout the bar tuned to the latest games. NY Rangers & NY Yankees specials. Home of the NYC Dolfans, Carolina Tar Heels, and Kansas State Wildcats. BBQ bar & grill and home to S.C. Gamecocks fans in NYC. Bar & restaurant welcomes Indianapolis Colts fans. brand new sports bar home to Islanders fans in NYC. Sports bar featuring craft beer. One of the premier soccer bars in NYC. Large Irish pub with 17 HDTVs and a giant screen. Host Notre Dame and New England Patriots viewing parties. Whiskey bar with over 30 TVs, one block away from Madison Square Garden. Bar & grill across the street from Madison Square Garden. Steps away from Madison Square Garden. Home to Seattle Seahawks fans. Hockey bar & restaurant near Madison Square Garden. Mecca for sports memorabilia. Home to the Irish-American baseball hall of fame. Sports bar & grill, with 40 HD TVs + two projection screens. Large Irish pub with over 30 TVs. Steps away from Madison Square Garden. located below Madison Square Garden. Multi-level bar & restaurant. Showing all UFC fights. Irish pub in Hell’s Kitchen showing all major sporting events on 13 large HD TVs. Over 20 flat screen TVs on three floors. Home to Syracuse alumni fans. Craft beer bar with 17 flat screen TVs. Showing all UFC fights. Manhattan – Above 59th St.
East End Bar is home to NY Giants, New Orleans Saints and Syracuse Orange fans. Craft beer bar showing all major sports including UFC. Home to Philadelphia Eagles fans. Neighborhood sports bar & restaurant for over 40 years. Sports bar famous for college football viewing. Beer bar featuring fooseball, pool, darts. Restaurant & sports bar. Home to FSU football fans. Sports bar with 14 HD plasma TVs and two 120-inch projection screens. Showing all DirecTV sports packages, including UFC and English Premier League. 28 lanes with state-of-the-art scoring system also features a sports lounge. Sports bar with 54 flat screen TVs and 50 beers on tap, plus bocce and corn hole. The bar behind Citifield near center field. Kelly Ryan’s: 57-90 Mosholu Ave. (Post Road) (718) 548-4939.